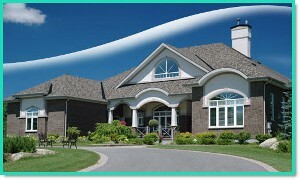 We offer a wide range of personal Homeower Insurance Florida policies, coverage and services. •How much your home is currently worth in today's market. •How much you owe on your mortgage, if you have one. •The outbuildings and other structures that are not part of your house but that you'll need to protect. •The contents of your home, especially if you have items that are very valuable. All of those issues matter when getting Florida homeowners insurance. You'll likely find that prices vary a great deal, and that some companies will not even cover you. If a company turns you down, it's most likely because Florida is vulnerable to hurricanes and the company does not want to take the risk. Still, for getting homeowners insurance Florida has some great companies. Make sure you do some shopping around and check with different companies to see what you can get for the price. If something seems to good to be true, though, there may be a reason for that. Avoid any company that guarantees you a particular rate for your Florida homeowners insurance before they collect enough information from you to give you a proper quote. Those kinds of places are scams, and you'll likely end up paying much more than they say. You also run the risk of being underinsured. If you have a mortgage and something happens to destroy your property, a lack of proper insurance could leave you paying on a house you don't even own or that doesn't exist any longer. It does not take a hurricane long to completely level a home in Florida, so you'll want to be sure that you're protected properly. Yes, Florida homeowners insurance can be expensive. It's one of the prices a person will have to pay for living in such a beautiful and sun-drenched state where there is so much to do. Even though you know it's costly to have homeowners insurance Florida companies do provide you with some options. Don't just get the first policy you're offered, or you may get stuck overpaying for something you could have gotten less expensively down the street. Also, if you're buying a home in Florida be sure that you have a wind mitigation inspection as part of your standard home inspection. It won't cost you much more out of pocket, but you can save big on your insurance if your home meets certain standards for wind resistance and hurricane protection. If that option isn't offered to you by your inspector, be sure to ask about it - or find a certified home inspector that handles wind mitigation. If your home doesn't meet codes that will give you an insurance discount, you may want to consider making changes in the future to save money on your insurance. There are many ways you can get Florida homeowners insurance discounts, so be sure to discuss them with your agent to save the highest amount of money. If you own and live in your Florida home or condominium,you need basic homeowners insurance to protect you and your possessions,as well as the actual structure of your dwelling. Some features come standard with a homeowner’s insurance policy and there are other features which you can add on if you feel you need them. When you're buying an insurance policy, it's very important that you discuss your needs with your agent. That will help provide you with the appropriate coverage to get you peace of mind and protect your investment. If you live in a coastal county, it's very important to be aware that some companies exclude hail and wind coverage. A separate policy is available for people who want to cover those perils and do not have the option of covering them on their standard homeowner’s policy. If you need options with your basic homeowner insurance Florida coverage, you can get them. Many policies offer special personal property coverage, scheduled personal property for valuables, and replacement cost on contents. When buying a policy, be sure to ask questions about any special coverage concerns you have. Owning a condo and renting it to others requires something more than a standard homeowners policy. Florida investment condominium owners have unique requirements, whether they rent it out to short-term tenants or they prefer long-term leases. Annual and semi-annual rental agreements can be accommodated, as can quarterly, monthly, and even weekly rental options. Explosions, smoke, vandalism, riot, theft, malicious mischief, lighting, fire, and other perils will all be covered by an investment property policy. There may be other coverage’s available, and there may also be some restrictions, so it's important to talk with your agent to make sure that you're getting the right coverage to meet your condominium investment needs. Flexibility is the key to insurance coverage for an investment home. Whether the owner is occupying it or the owner rents or leases it to a tenant, there is an investment policy that will be appropriate. If you're living in your home part-time and renting or leasing it out part-time, be sure to ask about investment home options for your Florida insurance coverage. If you have an investment property with a tenant in it, or you live in the dwelling but don't want as much coverage as a standard homeowners policy would provide, you may want to purchase dwelling fire coverage. Additional coverage options can be added to a dwelling fire policy, although there are some types of coverage - such as animal liability coverage - that cannot be added. Unfortunately, too many people realize too late that a standard homeowner’s insurance policy doesn't protect them from a flood. Even if you don't live in a flood plain, you may still want to have flood insurance to protect your home against the unforeseen. Homes that are not in flood-prone areas can flood during hurricanes or other severe weather events. In order to protect yourself, your home, and your belongings, only purchase a policy guaranteed by the National Flood Insurance Program.